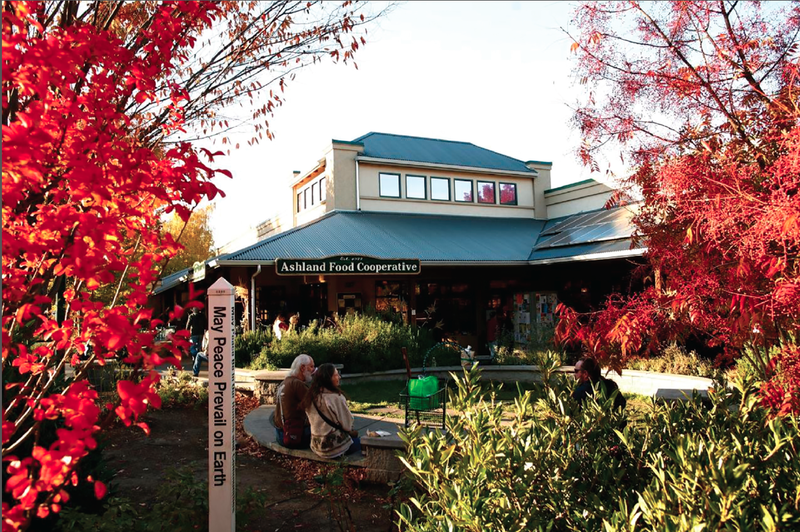 Ashland is an eclectic community of globally thoughtful citizens. Individuals whose ideas, words, and actions travel out into the world to make change and influence cultural discussion, norms, and expectations. These individuals create companies, write books, design products, and teach seminars and lectures that touch the lives of many. They work to inspire others to explore the greater possibilities at large. And while we live together in community, we are often unaware of the true global reach, connections, or accomplishments of our fellow citizens. In today’s interview I had the opportunity to speak with Donnie Yance CN, MH, RH (AHG). Yance, who was traditionally trained as a Master Herbalist and Certified Nutritionist, has authored two books titled Adaptogens in Medical Herbalism: Elite Herbs and Natural Compounds for Mastering Stress, Aging, and Chronic Disease and Herbal Medicine, Healing & Cancer. Yance is also the founder of the Mederi Center, a non-profit clinic, research and educational organization in Ashland dedicated to promoting longevity and improving the quality of life for those facing chronic diseases such as cancer, and stress or age-related conditions via a personalized, collaborative and integrative approach. Through Mederi Center, Yance trains healthcare practitioners to successfully diagnose and manage a myriad of health conditions utilizing the Mederi Care model. Yance’s work is known throughout the oncology world and is studied by experts in the United States, Europe and Israel. Donnie maintains active connections and works collaboratively with leading Oncologists around the globe and is continually lecturing and training practitioners in the Mederi Care model. Mederi Center also coordinates clinical research programs. Joined by his wife Jennifer Yance, they work together to disseminate his work far and wide. The Mederi Center is located at 478 Russell Street here in Ashland (off of Hersey St.). The clinicians work directly with Southern Oregon patients to not only manage cancer, but to provide effective strategies for optimizing health and preventing age related decline, as well as offering general wellness care to families and individuals. Donnie, hello and welcome to LocalsGuide. Thank you very much for much for taking the time to speak with me today. To begin with, I would love for you to introduce yourself to us and tell us a little bit about your life and history here in Ashland. I am a Master Herbalist and Certified Nutritionist with a specialty in Integrative Wholistic Medicine and Oncology. I have been in the field for over 40 years. In 2001 my wife Jennifer and I started the company Natura Health Products and in 2005 we established Mederi Center as the non-profit arm of our mission to improve the quality of life of people facing chronic health conditions, especially cancer, which is what I am most known for. 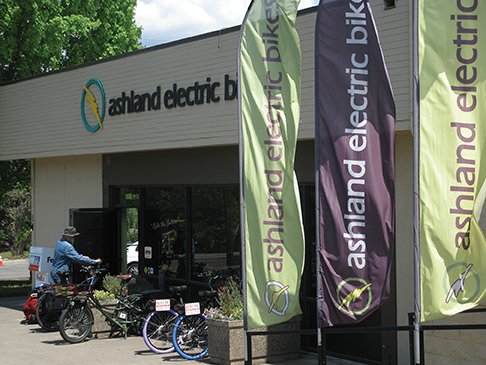 My wife runs both businesses and we have lived in Ashland for the past twenty years. Both of us are originally from New York and Connecticut and our work takes us all over the country and abroad so we do a fair amount of traveling, but always love coming back to the beautiful town of Ashland. Our children go to the Siskiyou School and I am also a musician, so I play a lot of music around the valley. We love the people, lifestyle, natural beauty, culture, and easy access to organic and non-GMO foods. It is also wonderful to have businesses here with wonderful, kind-hearted, and talented staff that make going to work every day something to look forward to in addition to serving a great mission. 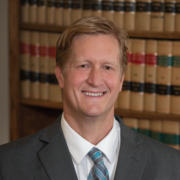 When we moved to Ashland, most of my North East clients wanted to continue working with me, so I set up a virtual practice and have continued in that capacity, along with taking on a smaller percentage of local clients, for two decades now. 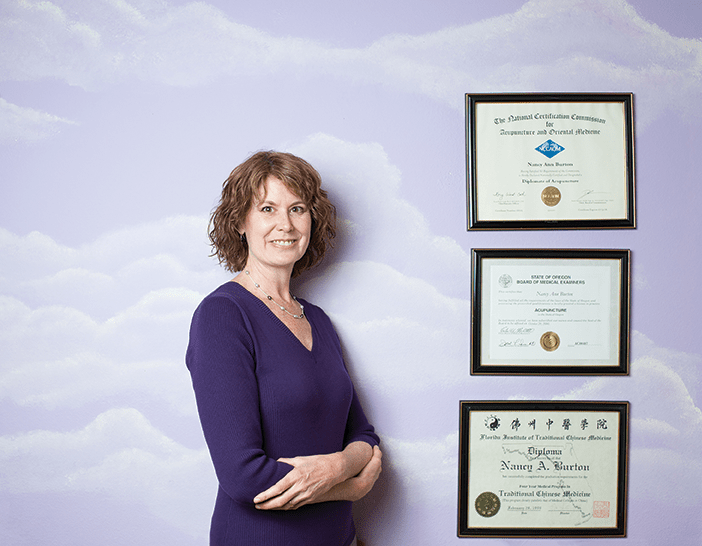 Since my practice has always been very full, we have brought on an additional Naturopathic practitioner at the Mederi Center, Dr. Susan Saccomanno, who is originally from Portland, OR. We have also offered a week-long clinical training program in my wholistic approach for many years, which has drawn over 150 practitioners from around the globe to Ashland. 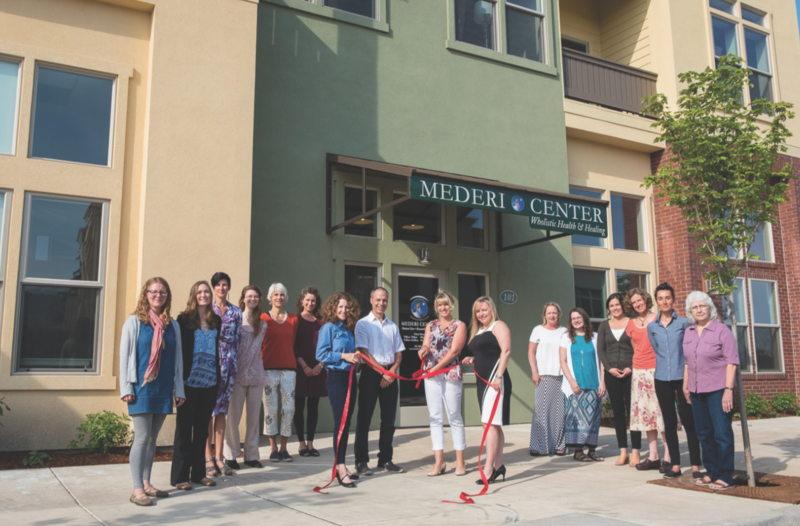 Here in Ashland, we recently expanded our patient clinic (Mederi Center) and will continue to add to our practitioner team to offer our integrative, personalized care locally to even more people. We just hosted an open house in September and we are opening our doors to host community workshops in November and January, with more to come. Donnie, you have become very well known around the world for the extraordinary clinical results you achieve in your practice with people battling cancer and other chronic and age-related illnesses. What allows you to achieve these results and how are they being studied and utilized around the world? I’ve dedicated my life to helping people. That is my single driving force. At this stage of my career I’m known for an innovative framework model of care that integrates essential principles from both traditional and modern medical systems. The success of this model comes from over 30 years of clinical experience and extensive knowledge of laboratory medicine, oncologic pathology and molecular oncology combined with my expertise in botanical and nutritional medicine. Interestingly, I started my adult life as a Franciscan Monk. That experience led me to pursue degrees in nutritional and botanical medicine to tangibly help people. If I had to pin point why I’ve achieved extraordinary clinical results, it stems from that initial calling. I armed myself with a deep understanding of traditional healing systems and practices from the American Eclectic and Physio-medical western herbal traditions as well as Eastern Medicine, which is regarded as the most extensive traditional medical system. As I worked with people from those modalities, I knew I needed to integrate this knowledge with research and collaboration on advanced integrative medical approaches. It was my ability to combine this knowledge and generate a unique framework called the Eclectic Triphasic™ Medical System, or Mederi Medicine, that touches on all aspects of a person throughout their healing journey that I attribute to the outcomes I’ve been blessed to see. Please tell us more about Mederi Medicine. Why is it unique, and why does it gets the results that it does? Our whole-systems Mederi Care model is distinctly unique among all healthcare professionals and natural healing practices currently engaged in research, education, and patient care. Mederi Care practitioners are first and foremost, deeply committed to providing the highest level of care for our patients. This involves learning everything we can about a person’s total health picture in order to forge a strong relationship and health partnership, focused on achieving a high quality of life and healthy aging, well beyond symptom management alone. Our protocols emphasize targeted, therapeutic, natural medicines aimed to address a wide-range of imbalances. The foundation of our assessment includes an in-depth look at a person’s constitution and energetic make-up, custom bloodwork, and specific biomarkers that help us evaluate genomic alterations, risk factors, or disease states. Our practitioners have a mastery of the art and science of complementary-integrative and wholistic medicine and apply a comprehensive protocol to successfully address the many underlying factors involved in overcoming or resisting ill health and restoring and sustaining optimal health. Given the superior quality, unique sourcing, and custom combination of the ingredients of all Mederi protocols – all Mederi Care practitioners are able to prescribe a treatment regimen that will typically yield substantially better results than that of similar natural healers prescribing similar treatments with inferior quality ingredients, different compositions, or even different dosing regimens. Donnie, you were originally trained as an herbalist. What early experiences helped to shape and form the practitioner you are today? I started working in a health food store in the 1970s and then went on to start my own called “Food for Thought”. I had also read the book Back to Eden by Jethro Kloss, which inspired me to pursue my calling as a healer and that is when I fell in love with plants. I went on to study the Eclectic Physicians and Physiomedicalists, who were practicing natural medicine in America from 1850 to 1930, and later nutrition and herbal medicine. I started seeing patients in the supplement aisle of the health food store until the line that formed was so long I had to get an office. I then opened clinics in three locations in Connecticut before moving to Oregon. I had lived in a monastery for almost three years in my early twenties and had considered becoming a priest, so spirituality has always been something I live and practice growing in every day, and it is often an essential part of the relationship I form with my patients. 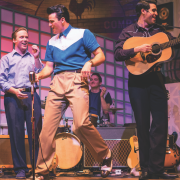 I have always played music professionally, so that is a big part of who I am as well, and greatly influences how I practice. Donnie you have written, and been featured, in several books that discuss your approach to cancer treatment and prevention. How have the books been received and how are they being used around the world? My first book was written in 1999 and is called Herbal Medicine, Healing, and Cancer. It is still a best-seller. My second book, published in 2013, is called Adaptogens in Medical Herbalism, Elite Herbs and Natural Compounds for Mastering Stress, Aging, and Chronic Disease. Both books are used in schools of natural medicine and someone recently offered to translate the Adaptogens book in German. There are other books that have been published that highlight my work with cancer. One is called A 5 Time Cancer Survivor, another is You Did What? Saying No to Conventional Cancer Treatment, both by patients I have worked with. The most recent is called Hope Never Dies, which features interviews with 5 cancer experts, of which I am one, and several patients we have helped who have had very successful outcomes, even though they were told they were going to die and there was nothing that could be done. Over the past 13 years you have trained more than 150 practitioners in Mederi Medicine. Please say more. Our goal is to give healthcare providers and their patients the tools to achieve enhanced vitality and a greater potential for survival. We train healthcare practitioners to successfully manage a myriad of health conditions through applying Mederi Medicine / ETMS™. The Mederi Center admits up to 20 healthcare practitioners for its clinical training programs each year to those who are committed to providing comprehensive care in the field of integrative (collaborative) medicine, specifically with an interest in The Eclectic Triphasic Medical System (ETMS). The training emphasizes advanced clinical applications of botanical, nutritional, and biological medicine principles within a multifaceted framework in order to successfully execute health-building interventions for enhancing patient vitality and lifespan. Participants have come from around the world, and include medical doctors, oncologists, naturopaths, acupuncturists and other healthcare practitioners. Graduates of our trainings also have the benefit of continuing education/post training in the ETMS through our Round Table Discussion Group. Members of the group benefit from the opportunity to interact and dialog with Mederi’s faculty and colleagues with diverse backgrounds and expertise for ongoing collegiate-like support with patient care. Donnie, what are some of the core values you share with the practitioners you work with and what do you enjoy most about the work you do? My colleague at Mederi Center, Dr. Susan Saccomanno, ND, LAc, shares my passion to help patients achieve vibrant health. We both want to add years to your life and life to your years. Dr. Saccomanno, practices the art and science of medicine, incorporating highly individualized medical care based on a person’s unique needs, with integrative and collaborative approaches based on the Mederi Medicine model. She, like most of my Mederi Medicine colleagues, is committed to the mind, body and spirit of our patients and recognizes the interconnectedness of each. We are impeccable in our science, but without losing sight of the whole person, or our own compassion. We are relentless in the pursuit of answers for patients and clients and do not take no for an answer. Please tell us about your clinical trial you are doing with the childrens hospital in Orange County. It’s so rewarding to see the seeds of my work take root in the world. For example, I was recently invited by Pediatric Oncologist, Dr. Agnes Horvath to speak at the Children’s Hospital of Orange County to share our work over the past decade on hope, healing and comfort for children dealing with cancer and treatment side effects. Over the past two years, Dr. Agnes and I have worked together on developing a clinical study using a botanical formula to prevent oral mucositis (mouth sores) that develop in children undergoing chemotherapy. Knowing that this work will positively affect the quality of life for children far and wide warms my heart and adds meaning to my life’s work. Donnie, please tell us more about what inspires you to do what you are doing. I have been in the field since 1976, I am also a jazz musician and live a Franciscan life. Doing this work is a natural response to my calling. My reason for being is to help people. I spend my days immersed in research, writing, and consulting on cancer and other chronic conditions and applying the science and art of botanical and nutritional medicine to all the work I do. My passion is fueled by a desire to be of service, devotion to my Franciscan theology, playing jazz music, spending time in nature, and my family. My hope is that I can offer hope and help to people on their journey to optimal health and wellbeing. At this stage of my life, I also want to train as many practitioners as I can so that the work will carry on and touch as many lives as possible. Donnie you are joined by your wife Jennifer Yance in the Mederi Center . How have you both worked together in sharing all you have to offer? 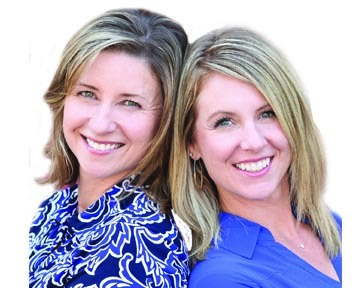 My wife Jen and I have always worked very closely together, and we work hard at staying in synch when we get pulled in a lot of different directions. Her main role has always been to manifest the vision and put all the pieces together to make it work. She wears many hats and has helped grow the businesses to what they are today, which has involved a lot of evolution and change along the way. She also travels with me to all my speaking engagements and events, including our trip to Israel in 2013 where we spent a week teaching the Mederi Care model at the largest hospital in Tel Aviv. You also have an amazing staff that works closely with you. None of what Jennifer and I do would be possible at the scale and reach that we have achieved without our amazing employees. Natura Health Products and Mederi Center has a dedicated staff of twenty employees across both organizations–many which have been with us for more than a decade. Everyone who is part of the Mederi and Natura family shares our devotion to helping people and to providing state-of-the art care and formulations that support our mission. We are so thankful to the men and women who carry our work out into the world. The Mederi Center has earned a strong reputation for working with cancer patients, but this is not all you are doing. Mederi Center recently opened the doors to its new clinic on Russell Street and we welcome the public to stop by and visit to see what we offer. Whether you are living with cancer or a serious chronic illness, or are trying to maintain a high-level wellness and age gracefully, Mederi Center can support you. We will walk with you on your road back to health and facilitate your healing journey. Our clinicians practice a ‘Whole-System’ approach and will develop a personalized and comprehensive treatment plan for you based on a thorough ETMS assessment and utilization of the Mederi Medicine toolbox, which includes botanical medicine, nutritional medicine, dietary medicine, life-style medicine, and often guidance with regards to pharmaceutical medicine. We see children, families and individuals.Insurance will be accepted in early 2019. Call or stop by to learn more. 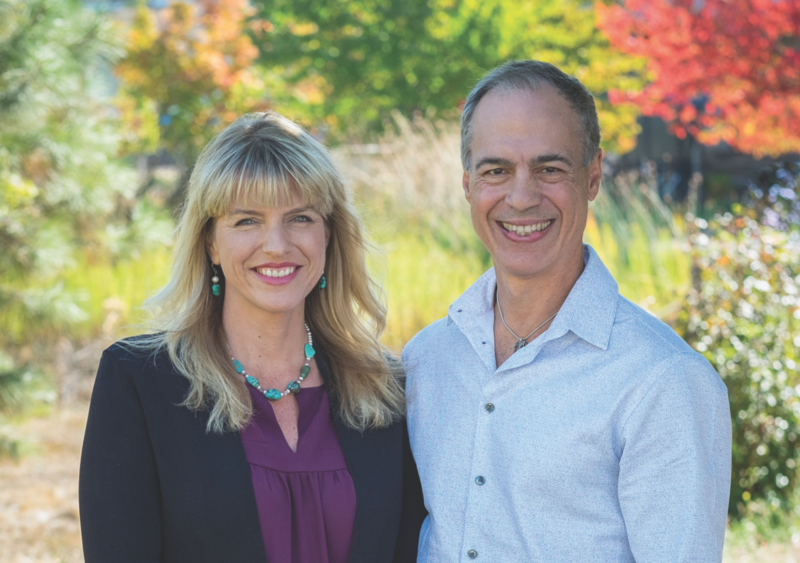 My trusted associate Susan Saccomanno, ND, and I, along with our highly valued support staff, provide full services in wholistic healthcare to thousands of clients nationwide both face-to-face in our Ashland clinic, as well as virtually, via telephone or videoconference. The Mederi Center also runs its own Apothecary in which you offer more than 300 unique botanical extracts. Please tell us about this. Our apothecary offers an extensive supply of herbal and nutritional formulations carefully chosen for their quality, purity, potency and clinical effectiveness. Our Apothecary services are available for Mederi Center clients, as well as other practitioners and their clients. 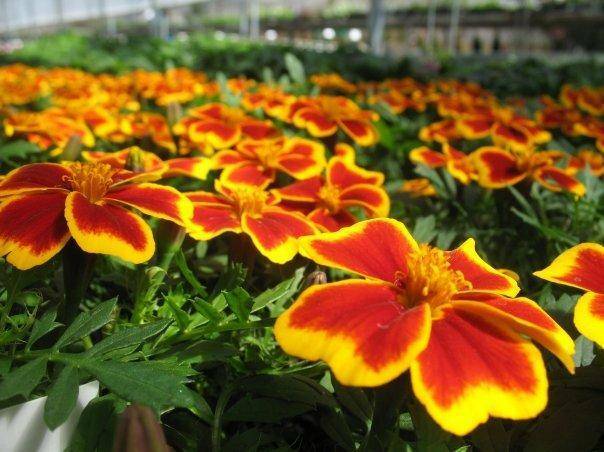 We have over 200 high-quality, single herb extracts and bulk herbs with which we custom blend formulations for clients. Natura Health Products are available from practitioners nationwide. You can visit NaturaHealthProducts.com to find a practitioner that carries the line. Did you have any mentors or clinical experiences that made a particular lasting impact on you? Two of my greatest mentors are Mother Teresa and the great cancer physician, Dr. Eli Jones. I also love the incredibly talented UCLA basketball coach, John Wooden. I quote them a lot, along with Albert Einstein and Aristotle. I am very pioneering in my work and I am determined to do everything I can to get people well. When I was in my thirties, I had a client who was very young with breast cancer. I hadn’t worked a lot with cancer at that point. She was so purely angelic and always smiling and never complained, even though she went through some horrible treatments and withstood tremendous suffering. She ultimately passed away and the day after she died, her parents brought me a ring she had made for me the day before, which I have never taken off my finger. I knew at that point what my calling was, and I decided to devote my life to helping people with cancer. Will you please introduce us to your on-staff naturopath Dr. Susan Saccomanno? Dr. Saccomanno’s approach combines cutting edge research and Naturopathic and Chinese traditions along with the ETMS (Eclectic Triphasic Medical System) or Mederi Care. She has deep faith in the healing and regenerative powers of natural therapeutics, which plays a central role in her treatment. Dr. Saccomanno enhances mainstream therapies to minimize side effects and to prevent future occurrences. Will you please give us an overview of the many opportunities for locals to be able to work with the Mederi Center here in Ashland? 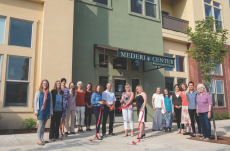 Please visit our website and learn more about our clinic and care team and about how you can get started at www.MederiCenter.org or call our office at (541) 488-3133. 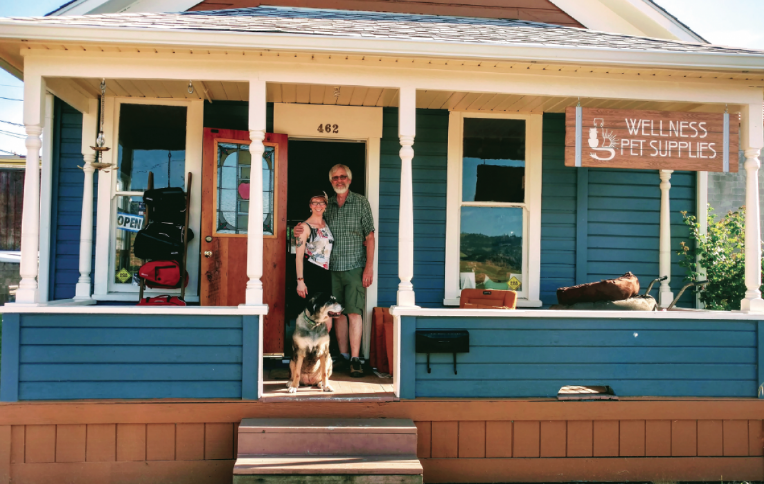 You can also stop by our new offices at: 478 Russell St. Suite #101, Ashland, OR 97520. Clinic Hours are 9:00-5:00pm, Monday-Thursday and 9:00-12:00pm on Fridays. We welcome you to come and check out our new building and our apothecary. Donnie, what is the continued vision of the work that you have to offer? Our vision is to continue expanding our programs to have an even greater impact in our communities and in the field of complementary, integrative, and wholistic medicine. We have development plans in the works for an on-line Academy that will offer a 2-year course in Mederi Medicine, which will provide accreditation for practitioners to ensure certain standards are met upon completion of the course. Modules will also be incorporated into medical institutions so that our future allopathic health care providers have the opportunity to learn and appreciate the true art and science of wholistic medicine. We also plan on continuing our partnership with Ohio State University to complete our first clinical trial in Stage IV breast cancer and to complete other research studies already underway. In the future we would like to be doing a lot more research, publishing, and helping more people through our patient care services at Mederi Center so that we can establish a model for other wholistic centers around the country. Are there any special quotes or advice that inspire you in your daily work? Donnie, thank you very much for speaking with me today. Are there any last thoughts or comments you would like to share with our readers? We are offering two workshops on November 1st and 8th, offered by Dr. Saccomanno, my esteemed colleague working with us at Mederi Center. The first class will be on Bone Health and how to maintain and rebuild bones and the second class will be on cardiovascular health and is about looking beyond the lipid panel. I will be offering a talk at Mederi Center on Thursday, January 10, 2019 on Inner Beauty and Outer Radiance discussing the “hallmarks of aging”, essential blood tests, foundational approach to wellness and natural solutions to optimizing disease resistance. Give us a call at 541.488.3133 to RSVP, though walk-ins are welcome! The mission of the Mederi Center is to optimize health, promote longevity, and improve the quality of life of those facing chronic diseases, especially cancer; and to provide a comprehensive approach toward the transformation of healthcare for individuals and institutions.